Welcome to 916 Dresden Court in the Wonderful Waynewood neighborhood.This stunning residence truly shows like brand new construction. Located on a corner lot, on a quiet cul-de-sac, this expanded Haddon model was completely rebuilt from the studs out in 2014. Showcasing 4 bedrooms (two with en-suite master baths) and 3 and ~ beautifully renovated bathrooms. Gorgeous curb appeal welcomes you to the front brick entry. The utility lines have even been buried for a pristine aesthetic. Step into the spacious and sunny living room highlighted by a wood burning fireplace and gleaming hardwoods. Note the enlarged openings for an open concept feel on the main living level. The striking kitchen boasts Silestone counters, stainless steel appliances, a sparkly glass backsplash and a breakfast bar with stool seating. The kitchen opens to the dining room and has outside access through French doors to the deck and the beautiful and private backyard. This is truly an entertainer~s paradise. The 1st bedroom level features 3 large bedrooms, all with hardwoods. There are one of two master suites on this level and a beautifully renovated hall bath. Walk upstairs and enter an owner~s suite paradise. There are four closets and a gorgeous en-suite master bath with double vanities and designer light fixtures. Beautiful architectural details abound including two dormers with cozy nooks and tons of natural light. This level provides easy access to the huge walk-up attic for amazing storage.The lower level boasts a cozy den, a separate laundry room, an updated ~ bath and a mud room entry from the backyard. The backyard entry in the rear has been renovated and is covered for easy and dry entry! Waynewood neighborhood is steps away from the Potomac River, The George Washington Parkway, and the Mount Vernon Bike Path. There is an in-neighborhood elementary school and an in-neighborhood pool and tennis facility. There are wonderful commuting options to Fort Belvoir, Old Town Alexandria, The District, the Pentagon and beyond. Drive the scenic George Washington Parkway or take the 11Y commuter bus to Old Town and the District. Additionally, there is a convenient Metro Bus option to the Huntington Metro. No detail has been overlooked in this remarkable renovation. Enjoy a spectacular qualify of life in the Fort Hunt Community. Welcome home! Directions:From the George Washington Parkway North or South - Right or Left on Waynewood Blvd. 2nd Right on Croton Drive. 2nd Right onto Darton Drive, Right onto Doyle, Left onto Dresden Court - home on the left. SchoolsClick map icons below to view information for schools near 916 Dresden Ct Alexandria, VA 22308. Home for sale at 916 Dresden Ct Alexandria, VA 22308. 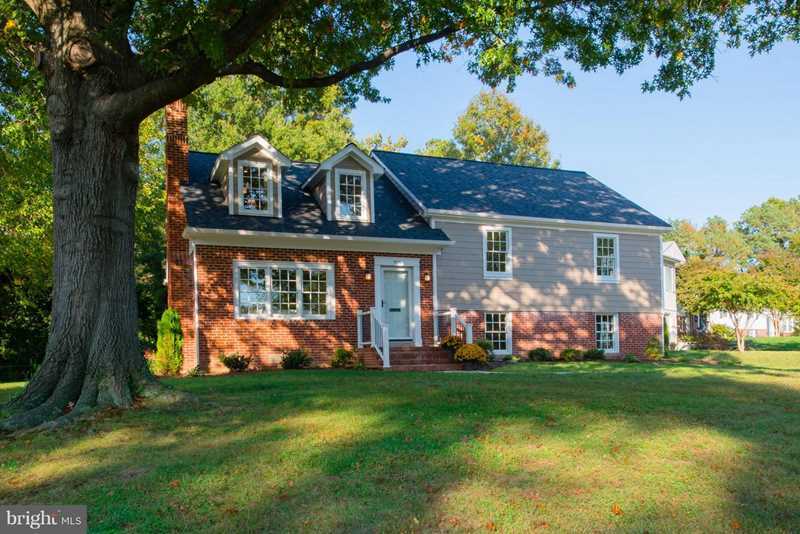 Description: The home at 916 Dresden Ct Alexandria, VA 22308 with the MLS Number VAFX774332 is currently listed at $819,000 and has been on the Alexandria market for 78 days. You are viewing the MLS property details of the home for sale at 916 Dresden Ct Alexandria, VA 22308, which is located in the Waynewood subdivision, includes 4 bedrooms and 4 bathrooms, and has approximately 2489 sq.ft. of living area.